Grandstream Released GWN.Cloud Beta: A Cloud Controller for WiFi APs! 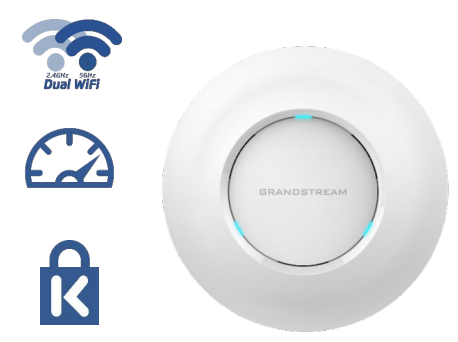 Have you used any of Grandstream’s GWN series WiFi APs? You might be qualified for Grandstream’s new free beta testing for Cloud Controller for WiFi Access Points (APs), GWN.Cloud! This new enterprise WiFi network management platform provides a secure, reliable and scalable management platform for Grandstream’s GWN series of WiFi APs. Installers and users can quickly deploy WiFi networks within seconds of scanning the device’s barcode and manage them easily through a mobile app or a web browser. Also, join our GWN Series webinar on Feb. 27th to learn all you need to know about the GWN Series of Networking Solutions. Click here to register now!